We’re down to the last few days before our Advanced Visual Skills Bootcamp this Friday and Saturday … just 2 spots left. Join us for rare, in-person mentoring in the visual way of working … open to all past and present attendees of Fundamentals of Interactive-Visuals (or those with equivalent experience). Surrounded by whiteboards, flips charts, markers, pastels and various other instruments of our trade … we hunker down in service of each person present, to help YOU get what YOU next want in the development of your visual skills and career. One practitioner is a seasoned facilitator, trainer and coach who is courageously charting her next chapter having recently resigned from a no-longer productive environment. We’ll help her craft her ‘Visual Bio’ and other tools to help her shift. The next is embedded in an organization where she uses visuals every chance she gets. She’s using this Retreat to build her transition Game Plan … to launch again as an independent consultant (having done so for a decade earlier in her career). The third is an independent consultant, facilitator and trainer … in the midst of integrating Graphic Facilitation into her existing practice. Her goal is more competence in her drawings, rather than relying so heavily on words. And how to land visual work. 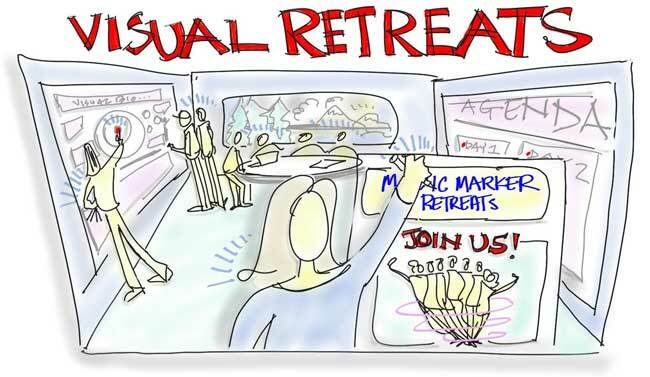 Our fourth is a Masters student wrapping up her communications studies … integrating working visually (graphic recording and graphic facilitation) into her post school career. 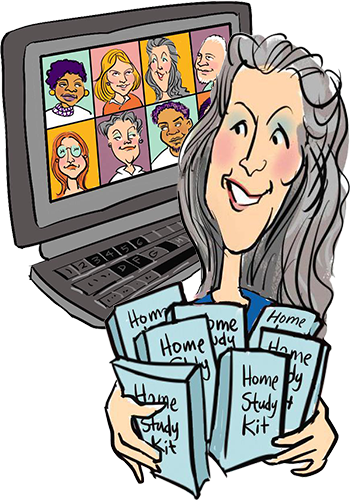 The fifth is a busy self employed Graphic Recorder seeking business building and team-building guidance including how to successfully refer excess work to fellow practitioners who won’t poach her clients. The remaining 2 seats around this 7-person table are still awaiting their last-minute owners. Now is your LAST CHANCE to ACT … give yourself the gift of like-minded practitioners in a supportive and attuned space. 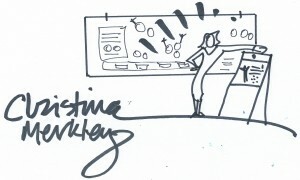 With a mentor who has pretty much seen it all where visual process work is concerned. Looking forward to this intimate, magical experience at my favorite local facility. With paper posted, markers flying and spirits soaring! P.S. These Magic Marker Retreats are not for complete beginners to the visual way of working. Fundamentals of Interactive-Visuals (or equivalent experience) is required. P.P.S. This week won’t work for you? Additional Magic Marker Retreats offered in March and June (see info page). Also, private mentoring available in-person and online. P.P.P.S. 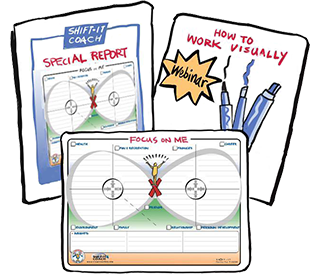 For SHIFT-IT School’s full calendar of events, products and private coaching, click here.